Sending marketing emails for your organization can require a lot of creative energy and strategic coordination. But if you’re not using any kind of email report to look at the performance data of these emails once they’re sent, how do you know that all of your energy is making an impact? How do you know what works, and what doesn’t? This is why you need a robust email report that makes trends and results easy to see by compiling relevant email data into one place. Sure, you want to see the number of clicks and opens each individual email receives,. But to get a fuller picture of the highs and lows of your nonprofit email marketing strategy, you’ll also want to see changes in your email acquisition rate or what actions your email subscribers take on-site. 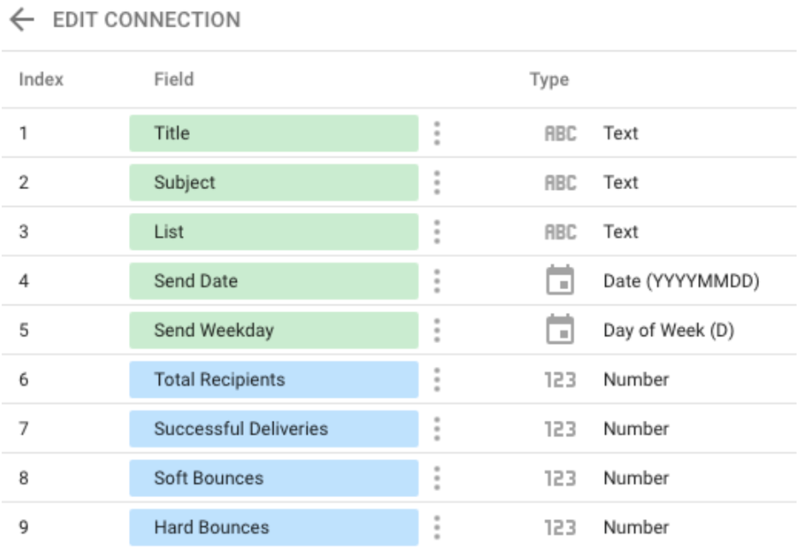 We’re big fans of Mailchimp, one of the most widely-used email service providers that also offers a nonprofit discount, and have created an email report template in Data Studio that offers a way to pull in both Mailchimp performance data and email traffic data from Google Analytics. Use this email report template to understand trends in send times, segment performance, email signups and more. Ready to dive in? First, some terms to know. Run through these email marketing terms and definitions before diving into our email report template for maximum insights and impact! Open rate: The number of opens on an email divided by the number of people that were sent the email. Mailchimp reports that the average for nonprofits is 24%. Click rate: Also known as click-through rate (CTR). The number of clicks on an email, divided by the number of people that were sent the email; Mailchimp reports that the average for nonprofits is 2.57%. Unsubscribe rate: The number of people that unsubscribe from your list divided by the number of people that received the email. Aim to keep this below 0.5%. On-site: Action or activity that takes place on your website versus within your email campaigns or a user’s inbox. This is recorded by your website analytics. Website bounce rate: The percentage of people who land on your site and then leave without clicking around to reach additional material or pages. What subject lines get the most opens? Which segment and/or email type gets the most opens? Which segment and/or email type gets the most clicks? Which list gets the most opens? Which list gets the most clicks? Which list sees the highest unsubscribe rate? What days of the week get the most opens? What is the monthly rate of email signups? Which landing pages capture the most email signups? Which traffic sources drive the most email signups? You’ll need a Google Account to link your data to our Mailchimp template and should use the same account across Google Sheets, Google Data Studio, and Google Analytics (if applicable). Manager access is required to download all reports in Mailchimp. Finally, select Copy Report and get to analyzing! Now that you’re analyzing your email data, there’s no stopping what your marketing efforts can do. Use insights from your email report to help direct Mailchimp-specific A/B testing ideas, template design updates, donor messaging and more. Looking to do it all? Check out our complete guide to nonprofit email strategy.